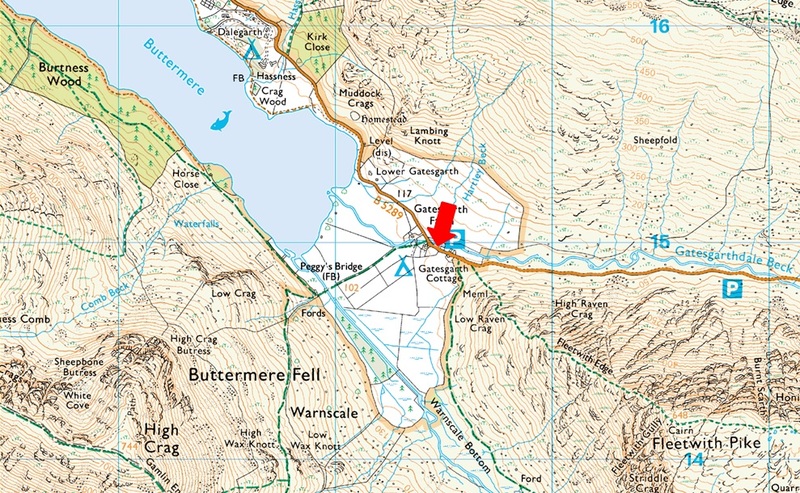 Notes: Situated at the bottom of Honister Pass Gatescarth car par backs on to Gatesgarthdale Beck and can fill up quickly due to its relative small size. The car park is perfect for wanders around Buttermere Lake or the surrounding summits of Fleetwith Pike and the very popular Haystacks. There are no permanent refreshments but a Ice Cream Van is often found opposite the car park no matter the season. Gatescarth is a Pay and Display and charges apply.